The majority of the villas, terraces and tenements of Pollokshields are now between 100 to 150 years old, but their quality is high and unlikely to be equalled in the future, so their condition must be carefully maintained. Our garden suburb is now also greener and potentially more attractive than ever before, thanks to the city’s cleaner air and the enthusiasm of its residents. Glasgow City Council is obliged to ‘preserve and enhance the character and appearance’ of the city’s conservation areas, a long-term commitment requiring the full co-operation - and encouragement - from owners and residents alike. Pollokshields Heritage was formed in 1992 as a local conservation and amenity society. encourage development that enhances the fabric of the neighbourhood. encourage and stimulate public interest in all aspects of the local environment. It supports development that enhances the area, its open spaces and the character and vernacular of the suburb. It actively supports the conservation of buildings of importance, private or public. It has contributed to the restoration of the Burgh Halls, the upgrading of Maxwell Square and Maxwell Park. In partnership with First ScotRail, Pollokshields Heritage has ‘adopted’ Maxwell Park Station. It pursues these ends through meetings, lectures, publications, its website, and schemes of a charitable nature. Local support is vital, and Pollokshields Heritage is always keen to increase and broaden its membership. The society is affiliated to the Scottish Civic Trust, a federation of ca. 150 similar amenity groups throughout Scotland. 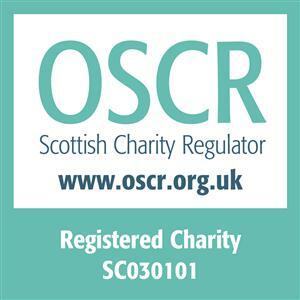 Pollokshields Heritage is a charity registered in Scotland (No. SC030101). It is politically non-aligned and membership is open to all who support its aims. There is no joining fee but all donations are greatly appreciated and help to fund the organisation and its commitments. The society is part of a Glasgow-wide forum of conservation and amenity societies, including the Friends of Glasgow West, the Strathbungo Society, the Architectural Heritage Society of Scotland (Strathclyde Branch), the Glasgow Architecture Committee, the Alexander Thomson Society, and the Merchant City Civic Society, concerned to raise the profile of conservation and standards of future development throughout the city. And together with representatives from Pollokshaws, Shawlands, Strathbungo, Pollokshaws and Mansewood, pursued a 'Glasgow 1999' community initiative to revitalise the River Cart, a major artery in the evolution of Glasgow's south side. Our newsletter archive is now available on-line.